I'm terribly sad about the death of Gene Wilder. Look at those kind, gentle eyes. I love him. His brilliant work in The Producers, Young Frankenstein, Blazing Saddles, Silver Streak, Stir Crazy...He epitomized the truth that the best comedy is based in melancholy. While I must admit I'm not the world's greatest fan of Blazing Saddles, I have to say that the Waco Kid is perhaps the most beautifully damaged, hilarious character in the history of film. It takes a special person to create a character like that. Gene Wilder was a special person. He was from Milwaukee, just like me. That makes me happy. He played characters who were neurotic, sensitive, emotional, a bit crazed. If you can't relate to that, I honestly don't really want to know you. Silver Streak is one of my all-time favorites. So I'm sad. Really, genuinely sad over the passing of this comic genius. But then, the universe is all about balance. Today, I checked my mail and found this. IRL name redacted, of course. Drummer Boy and I are going to see Eric Idle and John Cleese in person. WHAT. This is a dream come true for me. 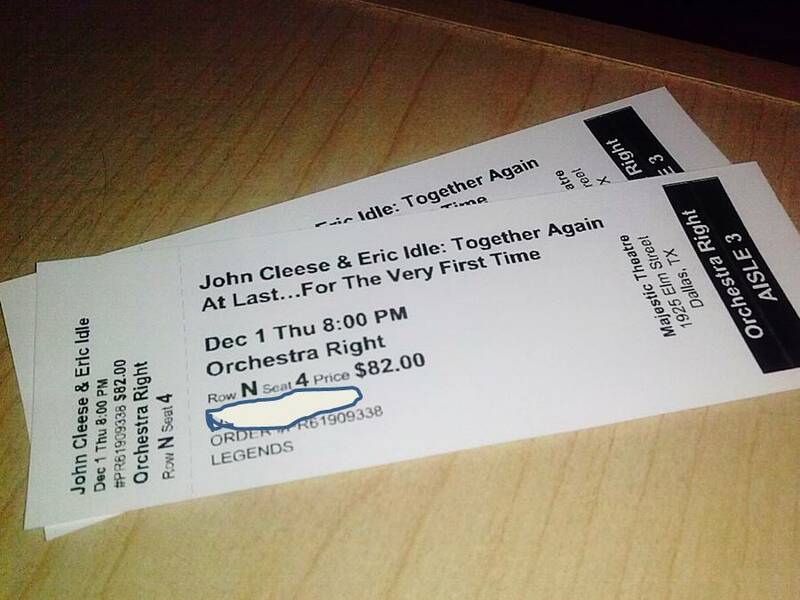 To breathe the same air as Eric Idle is absolutely a dream come true for me, one that I've held since 1983 or so. 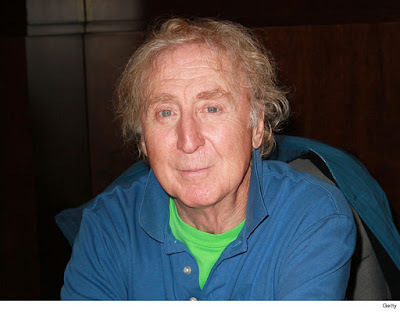 Is it a coincidence that he somewhat resembles Gene Wilder? No, it sodding well is not. Drummer Boy and I will be attending Mr. Idle and Mr. Cleese's show in Dallas on December 1 at the beautiful Majestic Theatre. This is the same venue where BekS and I saw William Shatner's one-man show a few years ago. Also a one-of-a-kind event. I blogged about it. I'm kind of terrified lest Messer. Idle or Cleese not make it, sort of, alive, until December. That's a terrible thought that is also quite valid, yeah? That's life when you worship aging gods, yeah. Anyway, I hope Gene Wilder finds naught but peace and joy in the afterlife, and I hope Eric Idle ad John Cleese continue to suffer all the crap this world has to offer until after December 1. The way 2016 is going I'd say your concerns about Messrs Idle and Basil Fawlty...er, J. Cleese...are perfectly valid. I know, right? Not sure if I can hold my breath for three months, but I'm going to try. I am totally ready for 2016 to be done, so let's make it December right now. 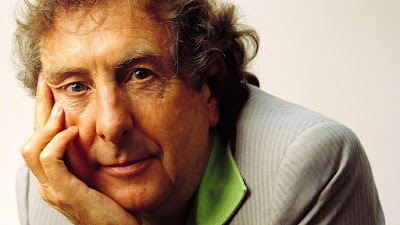 At first I thought that picture of Eric Idle was Gene Wilder. And now a terrible, terrible confession: I've never seen Silver Streak. It's an omission I can't explain or justify. 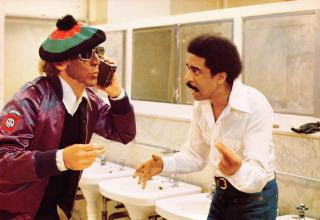 I loved Stir Crazy and even though I didn't think See No Evil, Hear No Evil was that great still Pryor and Wilder were great together. It's long overdue and now top of my list. After I read about William Shatner, of course. I never noticed the resemblance until yesterday, but it's uncanny. Do watch Silver Streak - it's an amazing movie.